Sometimes it can be the little things that help us figure out what kind of person someone really is. 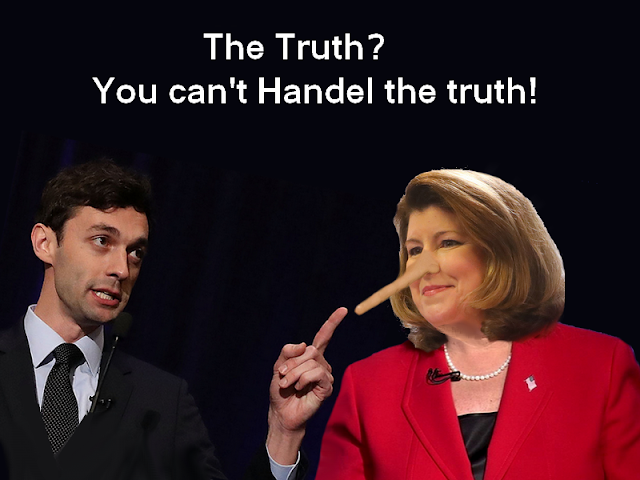 This post is about one of those little things that define Karen Handel. In a Maryland lawsuit filed in 1995, Karen Handel and her husband were sued by their former tenant, Stephen Kuznetsov, who wanted to get his damage deposit back from them. Now this isn't a very big deal in the scheme of things but if you've had to deal with landlords you know sometimes it's like pulling teeth to your deposit back. I should mention that Stephen Kuznetsov is Dr. Kuznetsov, a defense contractor who, at that time, was in his forties with a Phd in engineering and his own business. These days, Kuznetsov's hobby is to buy trolleys and streetcars, restore, and then donate them to transportation museums around the country. He was not, and is not, the party animal type or desperate for money. Though several notifications by the court were sent, Handel and her husband never responded so ultimately the court ruled in favor of Kuznetsov. 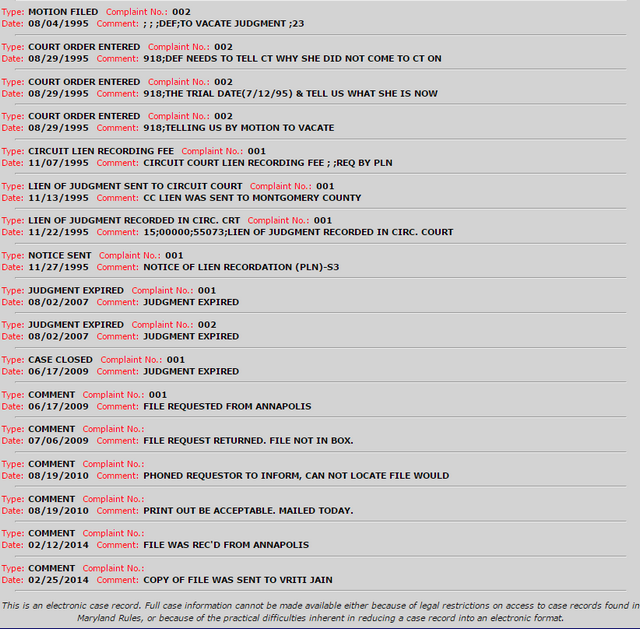 He was awarded his original $795 plus a punitive award for the same amount, a total of over $1,500. Again, this is not an earthshaking amount of money. When interviewed 15 years later in 2010, Handel said she knew nothing of the lawsuit and didn't remember being served with any papers regarding the case. That's not exactly true. 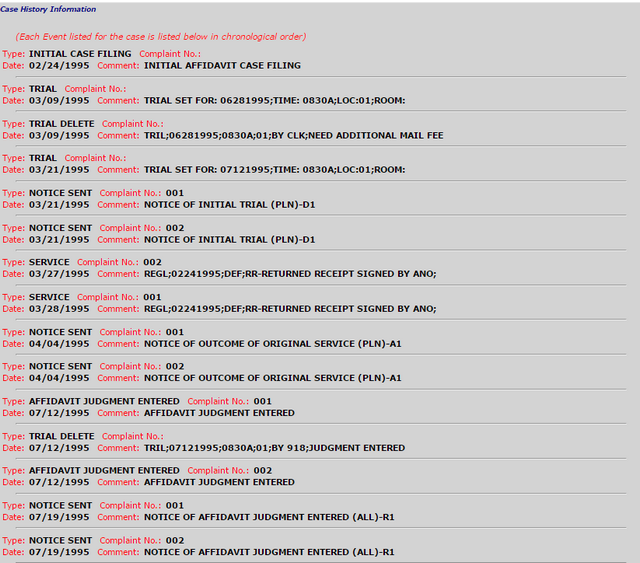 The court dockets below show she responded 2 weeks after the judgment to ask that it be vacated. 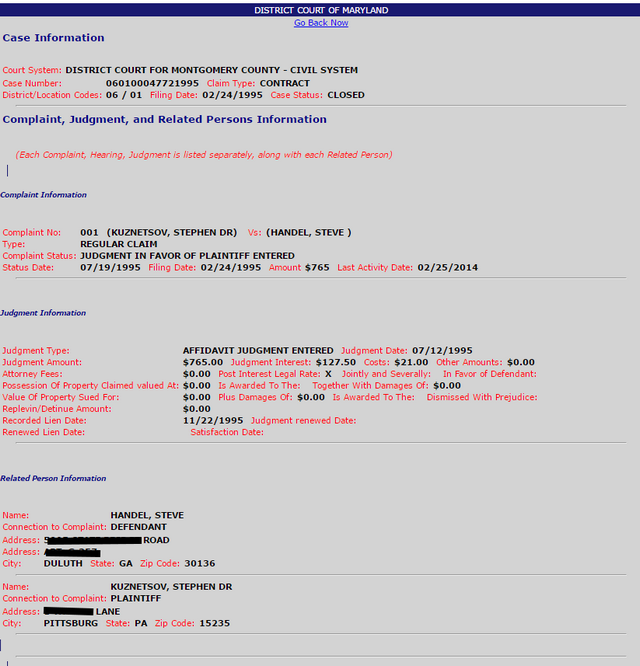 Upon receiving her motion, the court entered in the docket that Karen, the defendant, "needed to tell the court why she didn't come to court on the trial date (7/12/95) and tell us what she is now telling us by motion to vacate". I'm no lawyer but to me if a defendant files a motion in court, even if it's too late, that pretty much means they knew about the lawsuit. 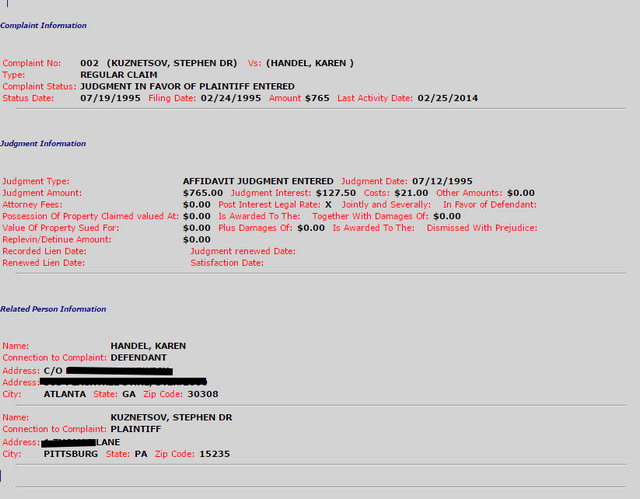 Apparently Handel ignored the court decision since the court placed a lien to get the judgment paid. The Handels were living in Georgia and continued to ignore the court judgment until it expired in 2007, which, coincidentally, was the same year Karen Handel became Secretary of State for Georgia. The case was finally closed in 2009 because of the expired judgment which was never paid. Karen Handel was still Secretary of State. Dr Kuznetsov had this to say about the court case, "Maybe that couple does better now, maybe they're more honest now. I feel like they're not acting in a forthright and honest fashion." Well Dr Kuznetsov, they're doing better now but not more honest.